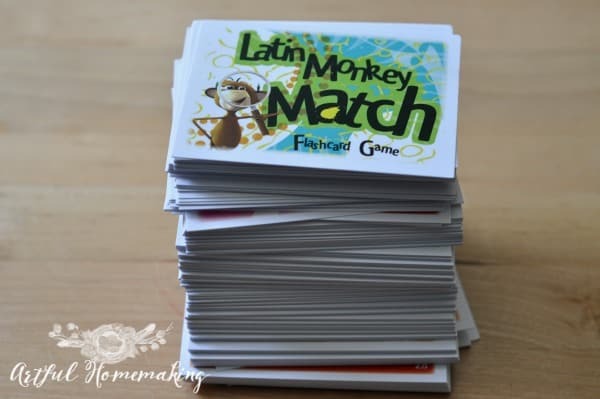 The set consists of a student book, a teacher’s guide, the DVD set, and the Latin Monkey Match Flashcard Game. Seriously, the cute monkey named Simeon is everyone’s favorite! 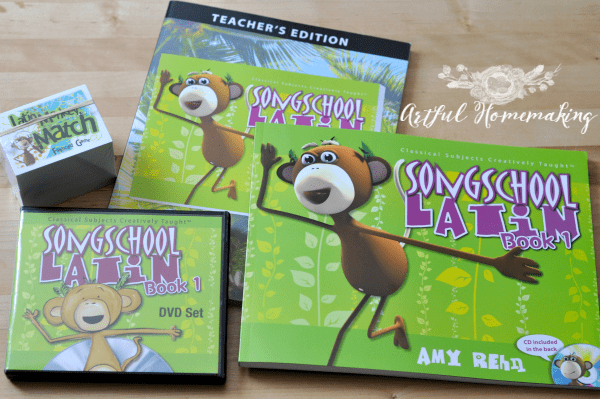 First we watch the lesson on the DVD and then work through the student book. 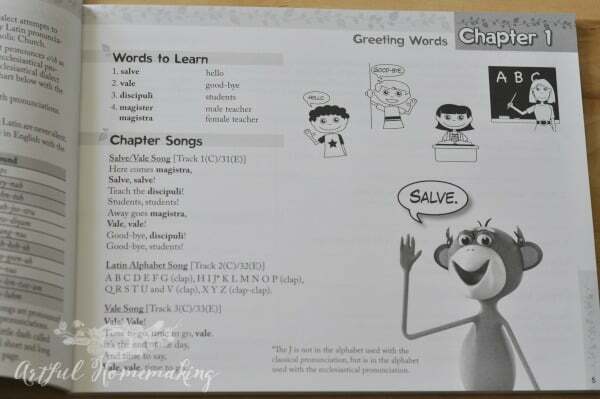 The student book contains writing practice, stories, songs, and fun activities. 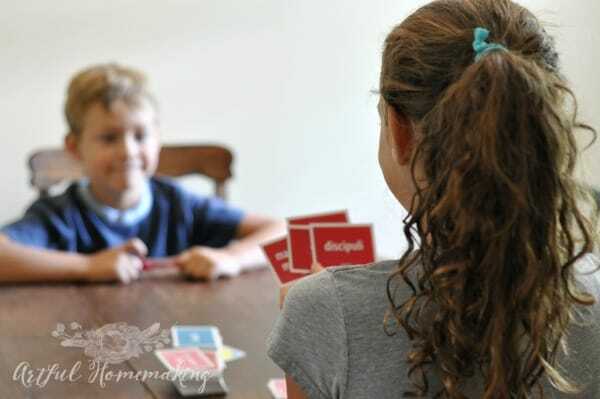 The included flashcard game is great for cementing what is learned in the lessons. 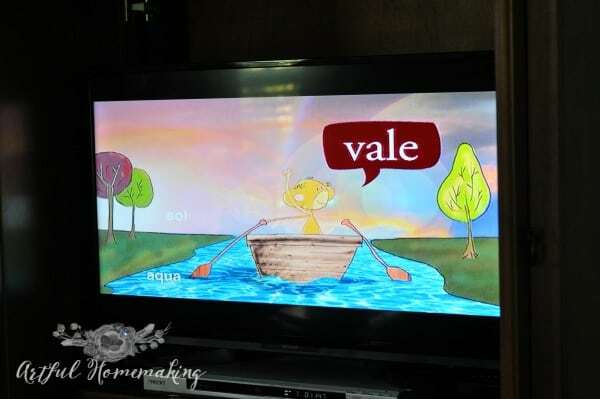 My children were really drawn to this game, and I love that it’s included in the program. I think it will be super helpful as we progress through the year. 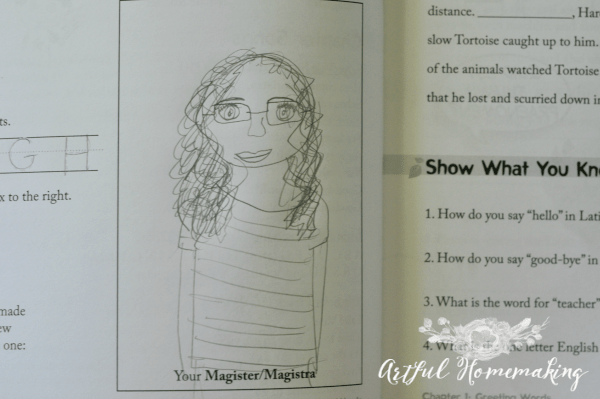 There are 31 weekly lessons including 7 review chapters. 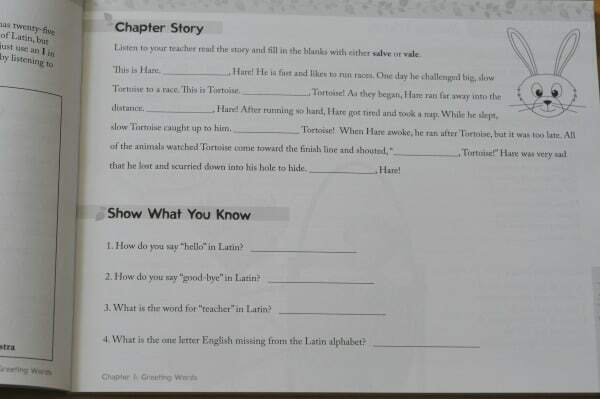 The suggested schedule is to do Latin 2-3 days a week for 20-30 minutes. 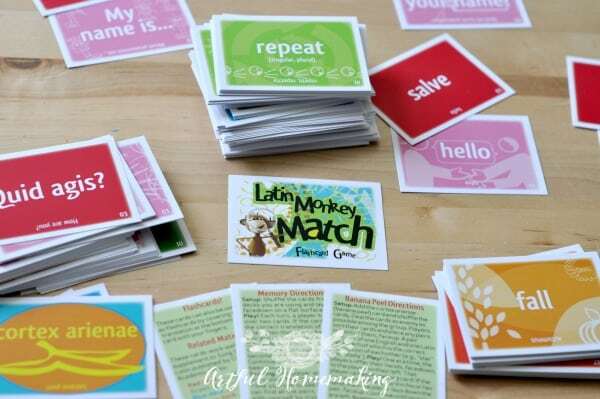 Students will learn over 100 everyday Latin vocabulary words for the seasons, body parts, food, animals, and common greetings. So far we’re really loving it! 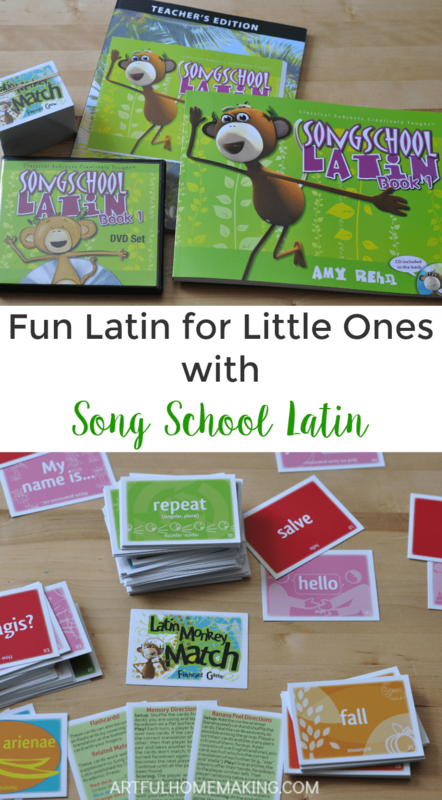 Song School Latin really is a “gentle and delightful introduction to Latin” for even your youngest students! CLASSICAL ACADEMIC PRESS DISCOUNT CODE FOR MY READERS! 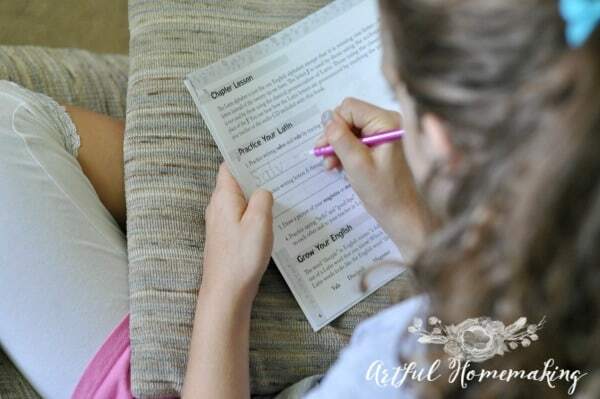 Classical Academic Press is kindly offering a discount code to Artful Homemaking readers! You can get 20% off with the code artful20 at Classical Academic Press. The code is valid on all products except Singapore Math and live online courses through Sept 30th. 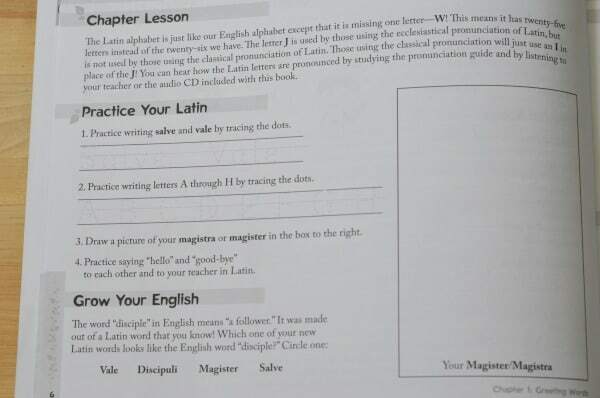 Disclosure: I received a free Song School Latin set in exchange for an honest review. The opinions expressed here are my own, and they were not influenced in any way. Read my full disclosure here. Sharing here.